While I was making sure the area around RBC Bank is safe, I saw a truck pulling over with many boxes in its trunk. I started to get suspicious, because as a security dog, I had the instinct to start barking and alert the RBC Bank employees. As soon as I saw the people in the truck, I recognized the Chichi® design on their t-shirts. Seeing the employees of Serena’s Art Factory made me realize that they were present to offer an evening filled with positivity, creativity and a relaxing, social and fun ambience and of course 104 Chichi® sculptures to be painted! This workshop, held on March 8th, 2018 was not only about painting 104 Chichi® dolls. It was also about celebrating women, as it was International Women’s Day. Having the Chichi® sculptures symbolizing women in general amongst the female employees of RBC Bank, and having the male employees supporting them was a perfect image! Regardless of not being in the bank, I was able to see the workshop through the large windows. Additionally, I was able to hear every sound, as I have an excellent sense of hearing. I truly felt the positive energy from afar. Between the hours of 5 PM and 7 PM, people were singing, dancing and painting, while the Chichi® painters were helping all the RBC Bank employees and guiding them through the process of painting a Chichi® sculpture. If you have ever questioned if the employees of RBC Bank can paint, let me tell you, they can! 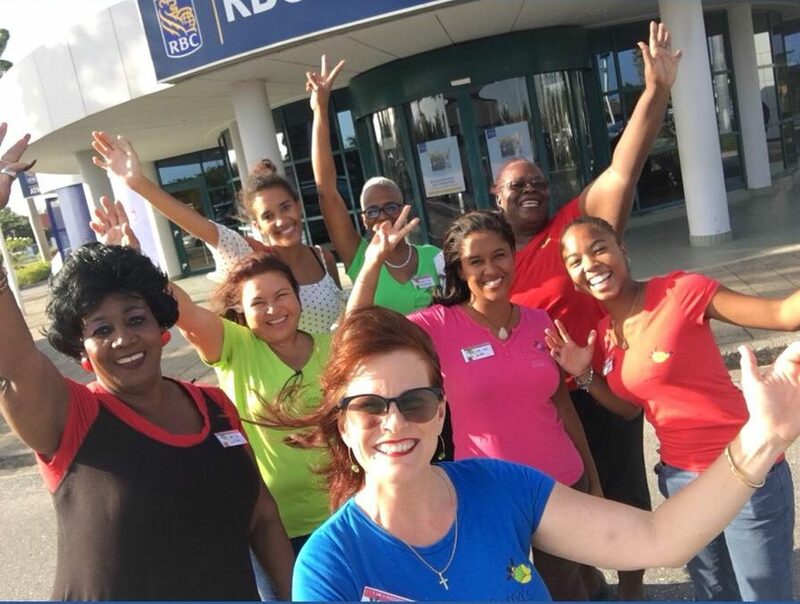 Imagine being there, feeling the energy amongst the Chichi® painters and all the employees of RBC Bank, while the 104 Chichi® sculptures were being painted. It was a workshop to remember!